How to maintain your tumble dryer, helping to prolong its life. Every time you use the tumble dryer. Remove and clean the fluff filter. This filter can usually be found at the front, just inside the door (see picture above). Dispose of the loose fibres. For a thorough clean, use a vacuum cleaner nozzle to clean the cavity in which the filter sits. If you have a condenser dryer it is important to remove fluff from the heat exchanger. This is usually found behind a cover at the bottom of the machine. 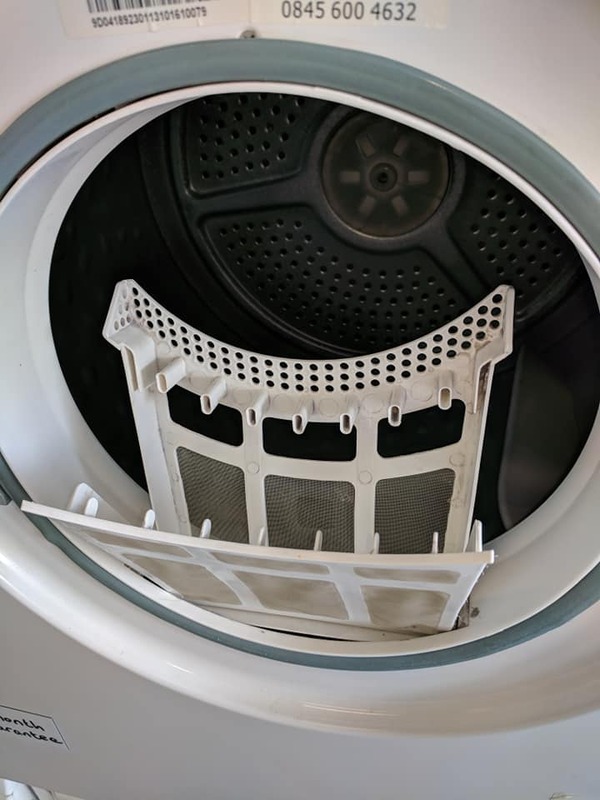 Remove the unit and rinse it out under the tap or with a shower head once a month, or more frequently if the dryer is used more than a few times a week. Condenser dryers have a container to collect the condensed water. Many dryers will not operate if this container is full. A vented dryer vents the condensed water out of a tube and is usually connected to the outside of the property. Tumble dryers are more efficient if the clothes have space to move freely in the drum. Note the kilogram load capacity of your washing machine compared to your dryer. If you have an 8kg washing machine and a 6kg tumble dryer a full wash load will be more than the recommended dryer load. Always pay attention to care labels. Appliances vary in design so we suggest downloading the user manual for specific instructions on cleaning and maintaining your dryer.